Hi everyone! I’m Jenifer of 42 Quilts and I’m so excited to be with you today. I met Tammie at the KCMQG and we hit it off instantly. Then I found out she was the author of this amazing blog. Isn't this a comfortable place to talk quilts (and so much more)!? I’m so honored she asked me to be a part of her Sew Full of Love week! 1. Morning coffee before everyone else is awake. 2. Eating dinner on the deck with a table cloth and white dishes. 3. Cooking dinner with DH while drinking a nice glass of wine. 5. 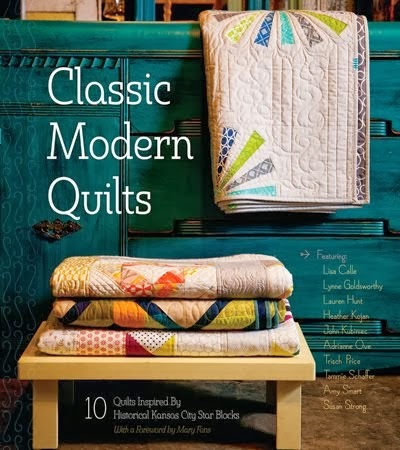 Thinking about quilts, reading about quilts, talking about quilts, making quilts – everything about quilts! Just in time for the big day tomorrow, I want to share with you something else I love - this cute little quilted Valentine wall hanging you can make for your sweetheart (well, maybe next year)! I'm going through a "wonky" phase right now so it seems like I want all my quilt blocks "off" just a bit. That was the inspiration for this 6" heart block. I first tried improv piecing, but it was just too much getting them just so. That's when I went to EQ to draw it out and make the paper-piecing templates. EQ is a drawing program especially for quilters. If you're interested in creating your own designs, it's a great tool! 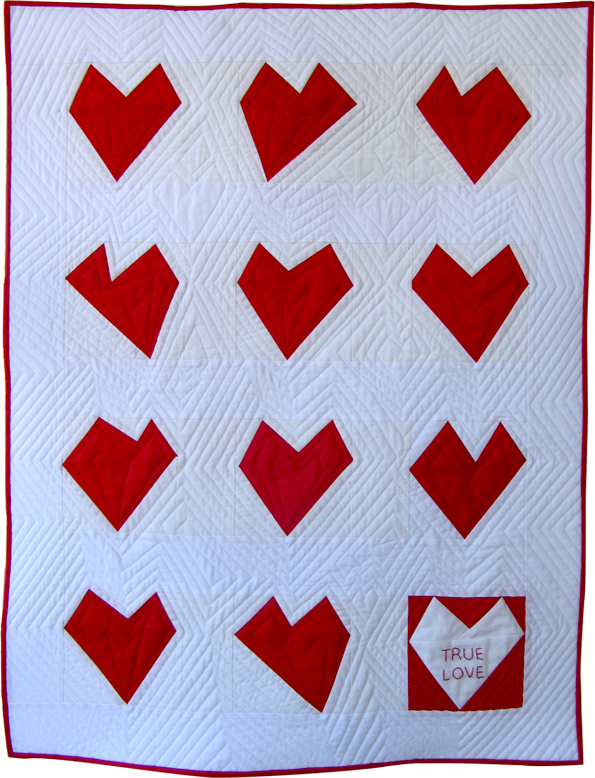 To make your own True Love wall hanging, you'll need to make 12 - 6" heart blocks. I chose the obvious - red and white for mine! You might choose something else. I made them all red on white except for one, which I made white on red. On that one, I embroidered the words True Love to imitate a candy conversation heart. You can put what ever message you like on yours! Fresh Lemons This is a nice tutorial. You'll be able to pick it up pretty fast or as a refresher if you just need a reminder. The Crafty Gemini. This is a 10-minute video - which is a commitment - but she paper-pieces exactly like I do. I highly recommend watching if you've never paper-pieced before. Next, I added 3" sashing and 3" borders to finish up the 30" x 39" quilt. It's very simple, but so sweet! I did my own quilting, which I have to confess is very limiting. I only can echo quilt really well, so that's what I did. I like to use quilting as part of the quilt design rather than as just a means to get the quilt finished. I thought the straight quilting lines around the hearts would make a neat visual. I bound it in red. I played around with a bunch of setting ideas for my 12 blocks and I came up with these. You decide how you want your quilt to look! If you would like to make your own True Love wall hanging, click here for a downloadable pattern. a HUGE thank you to jenifer for sharing this with us! i adore it. i am truly in love with it! jenifer is a great teacher, i am so excited to be taking her applique class next month! 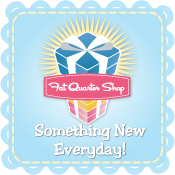 be sure to check out her blog, 42 quilts, and her modern monday/traditional tuesday blocks! and if you haven't entered all the giveaways yet, don't forget they all end tomorrow! 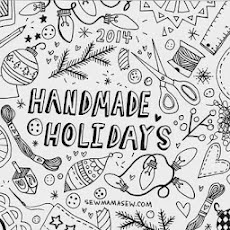 go win some fabric, or more fabric, or patterns, or chalkboard appliques, or silver ribbon buttons! mmm, pie - and a mini-tute! things i love, day six & giveaway! peek-a-boo pattern shop review and giveaway! 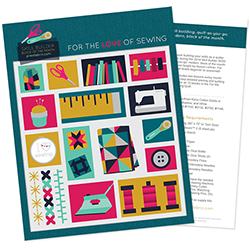 sew full of love begins with a giveaway!